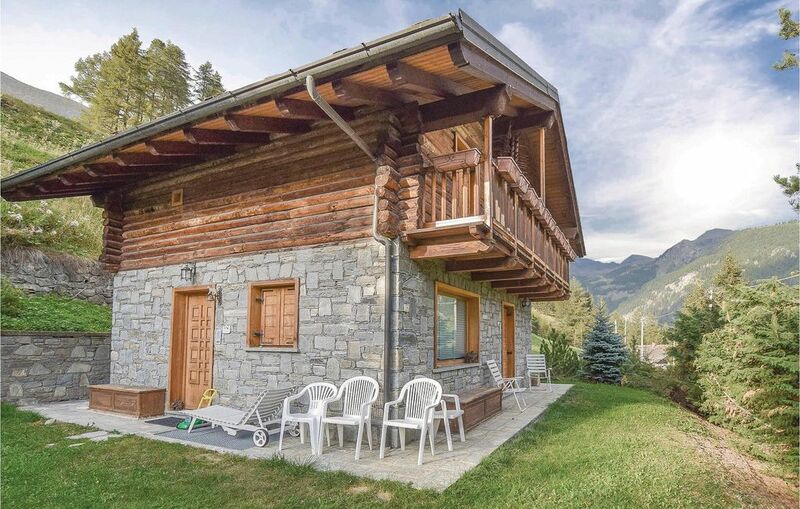 Multi-level holiday home a short distance from the center of Champoluc, with stunning views of the surrounding mountains. A double bedroom and a bathroom are located in the basement, where there is also a sauna with 2-3 seats, ideal for relaxing after your excursions. At 1.2 km there are the ski lifts of the Monte Rosa Sky area. The location is also ideal for summer stays. A visit to the Gran Paradiso National Park (95 km) is a must, where during your excursions you can come across the local fauna, a unique experience. In Aosta (57 km) you can visit a great artistic heritage of Roman origin (i.e Arch of Augustus, the Roman Theater). The fireplace is only decorative.